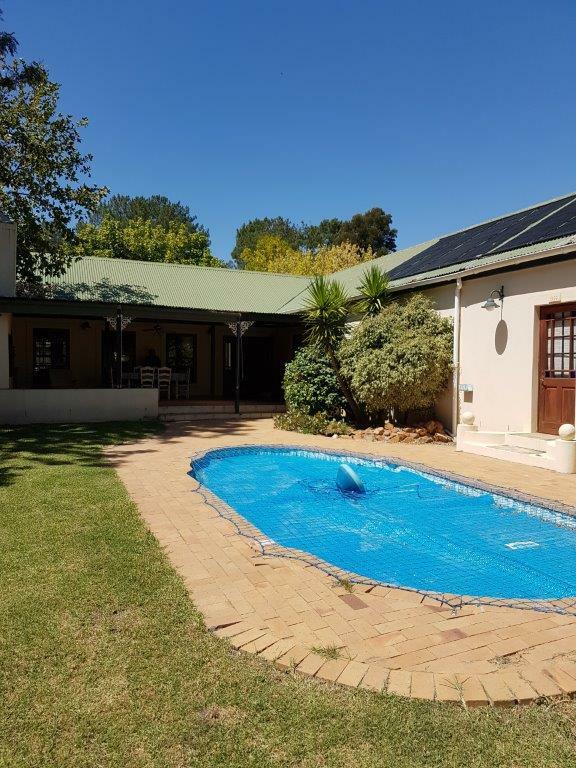 Heron House is a comfortable, family orientated country cottage, situated close to the centre of the village, walking distance to all amenities, close to mountain bike trails and nature reserve walks. 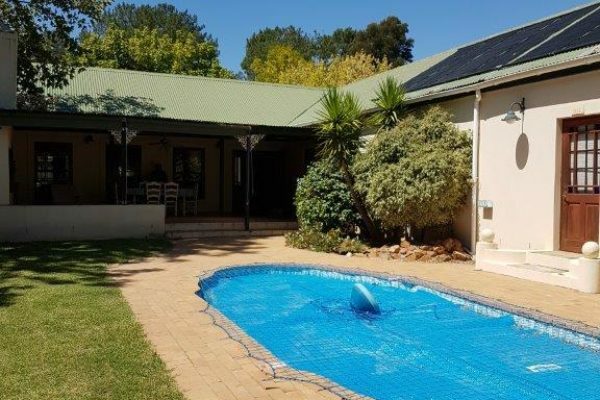 A spacious under-cover patio with built in braai facilities, overlooking a beautiful garden with sparkling pool, will be your place to relax during the hot summer months, whilst the children can play in a child friendly environment with no open ponds and pool covered with a safety net. The lovely fireplace and additional heaters will ensure that you keep warm during winter. 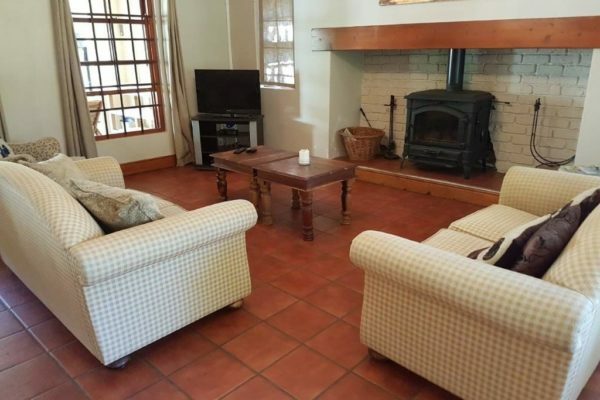 This comfortably decorated cottage offers 3 bedrooms and 3 bathrooms. Main bedroom with extra length queen size bed and full en-suite bathroom with bath, toilet, bidet & basin (plus outside shower-under-the-stars). 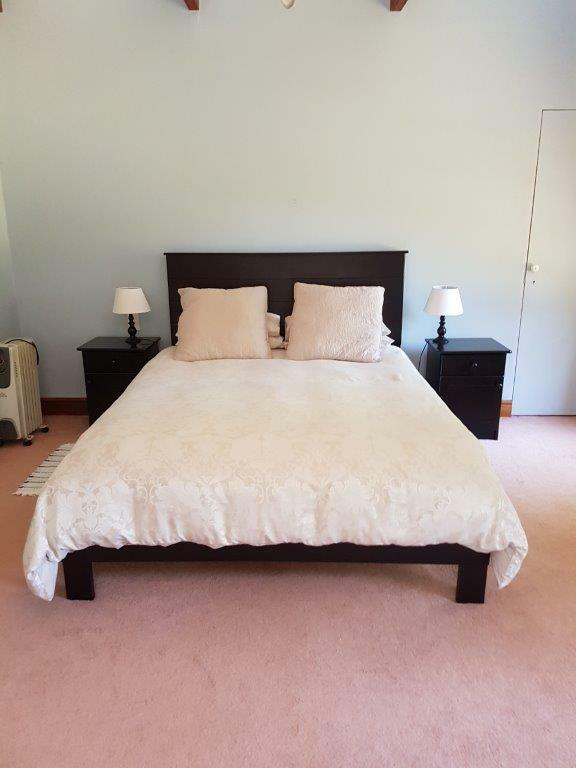 The main bedroom also has an inter-leading study area equipped with a trundle bed (2 single beds one sliding out the bottom). Second bedroom with double bed and third bedroom with two double bunk beds. The second and the third bedroom have 2 additional bathrooms to use, one with bath, toilet & basin and one with shower , toilet and basin. 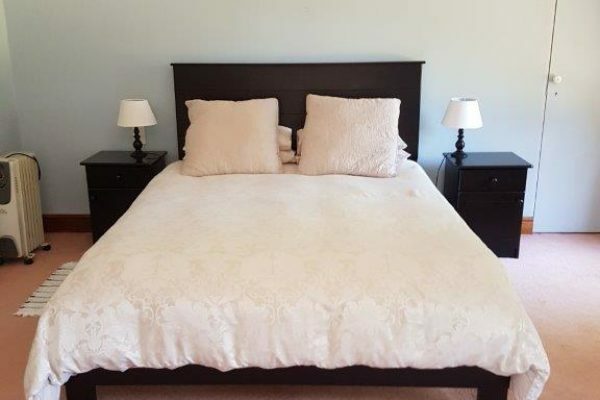 The cottage sleeps 4 adults and 6 teens/children comfortably. The country kitchen is fully equipped with a good size fridge/freezer, full electric stove with oven, microwave, kettle toaster, sandwich toaster, dishwasher and washing machine. 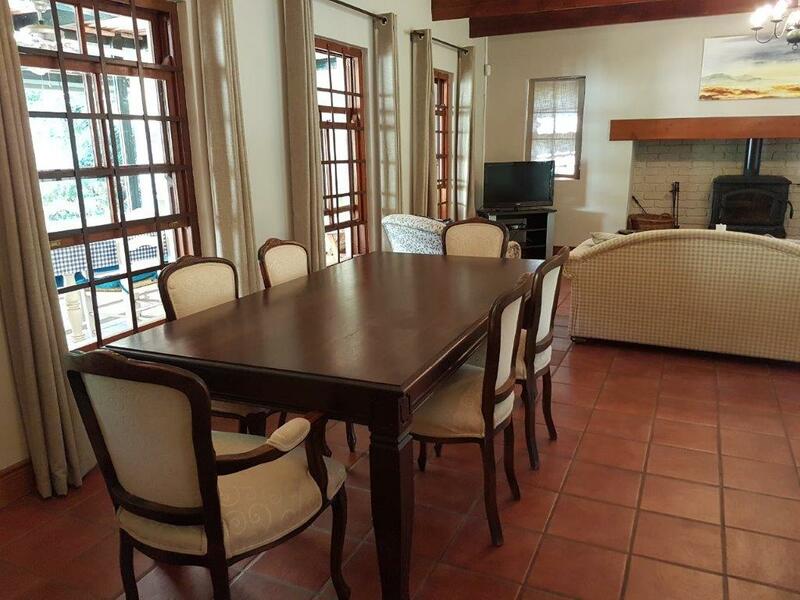 The dining/living areas are open plan and the patio has under-cover braai facilities. There is a TV with full DSTV (no card or decoder required) and DVD player. 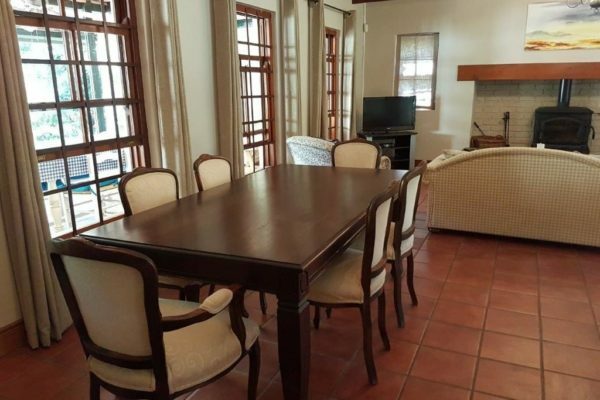 The dining area has a 6-seater dining table inside and another 6-seater dining area on the patio. Safe off street parking for about 4 cars. • Fully equipped kitchen with double door fridge/freezer, full 4 plate electric stove and oven, microwave, toaster and kettle, sandwich toaster, dishwasher and washing machine. balance payable 3 days prior to arrival.